If you’re remodeling your home to get more from its sale, there are things you have to keep in mind. Regardless of what anyone tells you, remodeling will help you sell your home, but the housing market in your area is the number one factor when determining the actual selling price of the home. 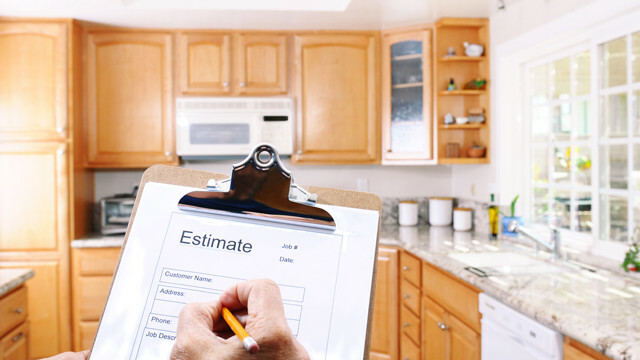 Before you commit to remodeling, here are some things to consider. Can you recoup the cost? Remodeling sounds like a sure-fire way to get more money for your home, right? Well, not so fast. Sellers need to consider the bottom line first. Will remodeling a home increase its sale price only to recoup the remodeling expenses? Remodeling Magazine, a source for home projects, has found that very few remodeling projects actually recoup 100 percent of the cost of the project in the selling price. Of course, that number is subject to your market. Are there designer drawbacks? The newly remodeled kitchen is your vision of fabulous upgrades and changes. You may go hi-tech and add digital appliances that look modern. But what if technology scares potential buyers? They may not be sure how to use them or even wonder what to do when they break. You may go industrial with a heavy-duty stove featuring multiple burners, or add a huge refrigerator. But what if those large appliances remind a potential buyer of a hospital or restaurant? Bathrooms are also tricky. With features such as his-and-hers marble sinks, spacious cabinets, and a whirlpool bathtub, buyers will love it, right? Once again, these are upgrades based on your specific style, wants, and needs. What if a buyer has a more practical approach to the bathroom? Sure, all that money spent on remodeling the bathroom may lead the potential buyer to think of it as a lovely bathroom. But it may not be nice enough to get her to spend more money on your home. So, if remodeling isn’t always a great idea, what are some practical steps you can take to increase the selling price of your home? 1. Declutter. In order for buyers to see your current home as their future home, it’s important to remove any excess clutter and have your home as clean as possible during showings. 2. Paint. Giving your walls a fresh coat of a neutral color paint will work wonders in helping potential buyers visualize your home as their own. Pick soft colors and have them flow from room to room throughout the house. 3. Update fixtures. Go through your home and update old fixtures. Adding a few new ceiling fans, new shelving, cabinet hardware, and even light switch plates will make a big difference. It will instantly modernize your home. 4. Go to open houses in your area. Use this time to scope out ideas – and ideas only. You can’t get an accurate picture about the added value remodeling might create without considering the complete package. Investigate how much homes are selling for in your area, the condition and square footage of your home compared to others, the landscaping, and more. In most cases, the idea is to sell your house as quickly as possible at the highest possible price. If all your profits are eaten up in remodeling costs, you’ve missed the opportunity to make money on your home. In general, it’s not a great idea to go into debt to remodel, especially if you’re about to buy another home. If you take out a hefty loan to remodel, you will be adding to your debt-to-income ratio, which may hurt your credit rating and your ability to borrow for your new home. In fact, it could force you to hold out for a much longer period of time than you intended and sell your home for more just to recoup your expenses. As a mother of two and realtor with Keller Williams Realty, Tarah Harris enjoys working with Central Virginia families whether they’re buying or selling a home. She lives in the West End with her family.